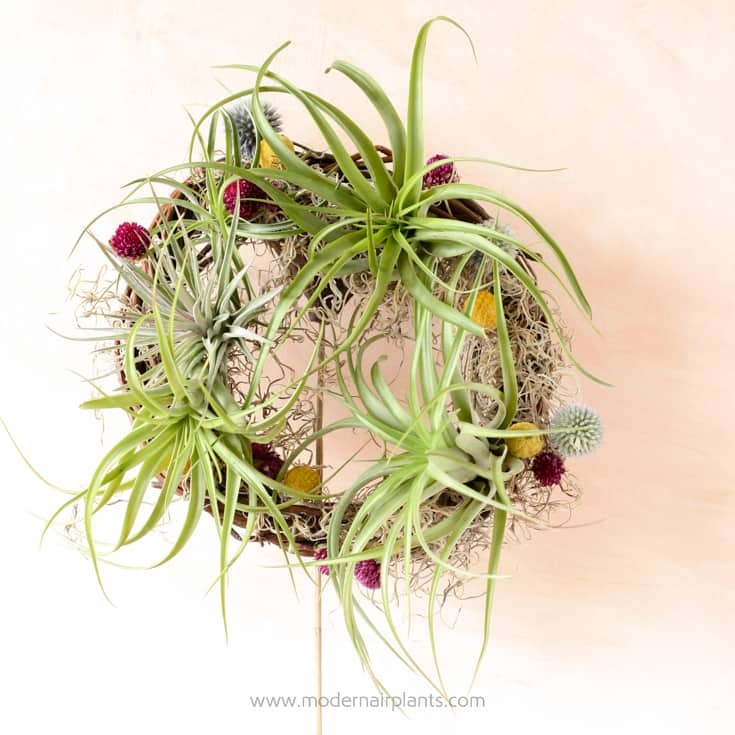 Get ready to design your own air plant wreath. They are so simple to make and look gorgeous! 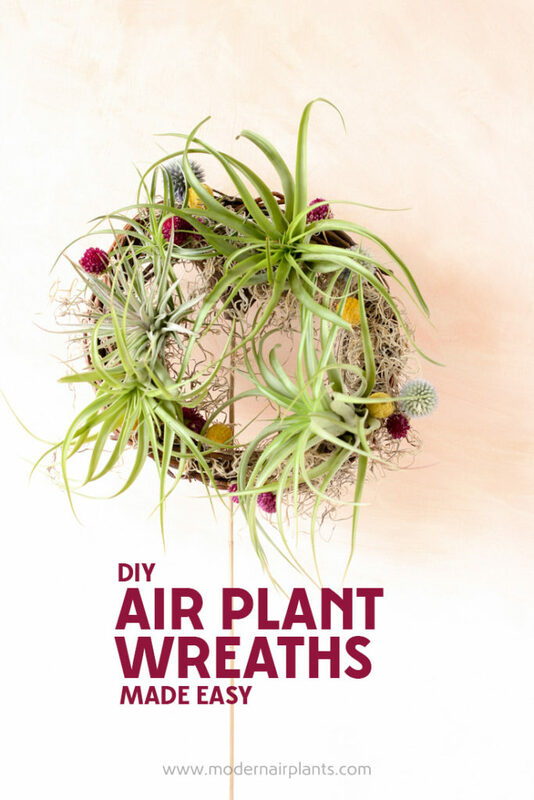 With just a few simple supplies and step-by-step instructions, you’ll be set–ready to make your own wreaths. 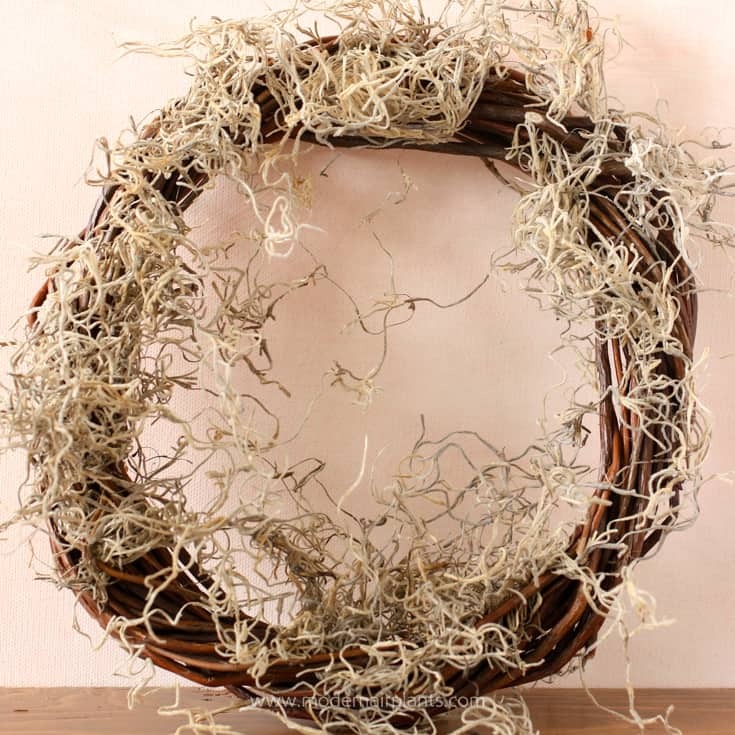 Grapevine wreaths can be purchased online or from your local craft store. Floral glue will secure the wreath by keeping the plants and embellishments from falling off. 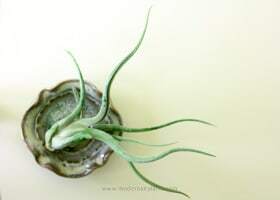 Air plants. 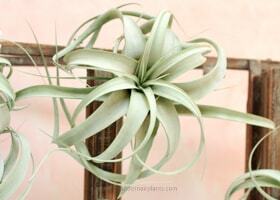 Consider varieties with spreading leaves such as green abdita, brachycaulos, harrisii, capitata, mini xerographica. Embellishments. 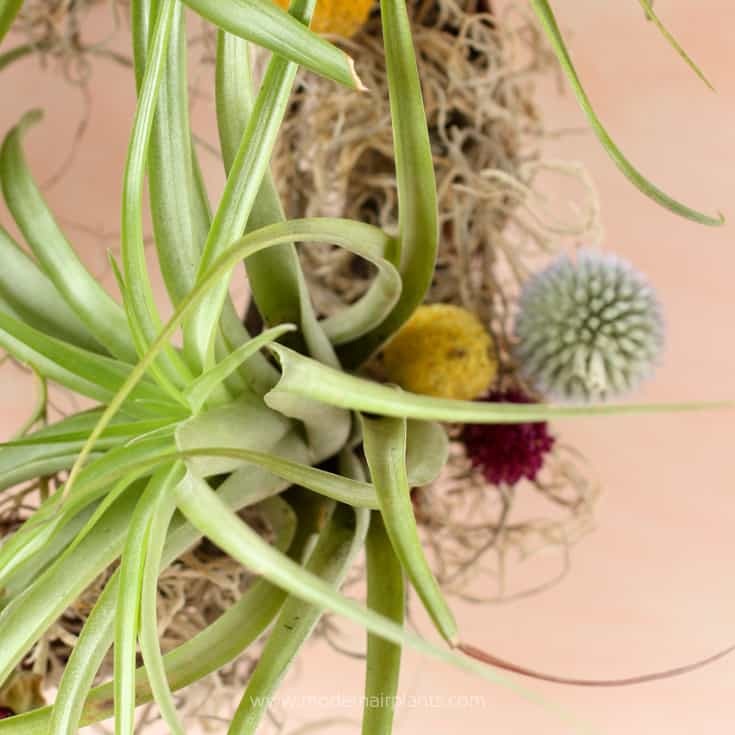 Dried flowers, such as amaranth, billy balls, globe thistle, lavender add a nice pop of color that echoes an air plant in bloom. A few other ideas include a sprig of real or faux berries, small pine cones, a string of LED lights. The choices here are limitless. Go with what you like. Dried Spanish moss or preserved reindeer moss. These mosses are fillers that round out the wreath. Sharp scissors for trimming dried flower stalks etc. STEP 1: Begin by spreading a bit of Spanish moss around the grapevine. The moss can really stick together so you may have to trim it off with your scissors when you have enough. STEP 2: Add the air plants. 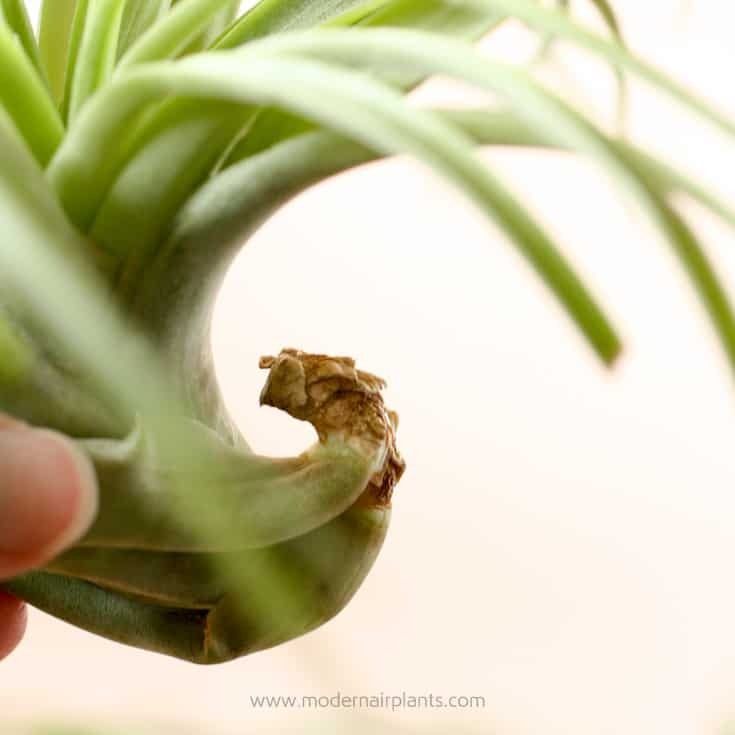 Some air plants have a natural “hook” that can be used to hang the plant to secure it to the grapevine. 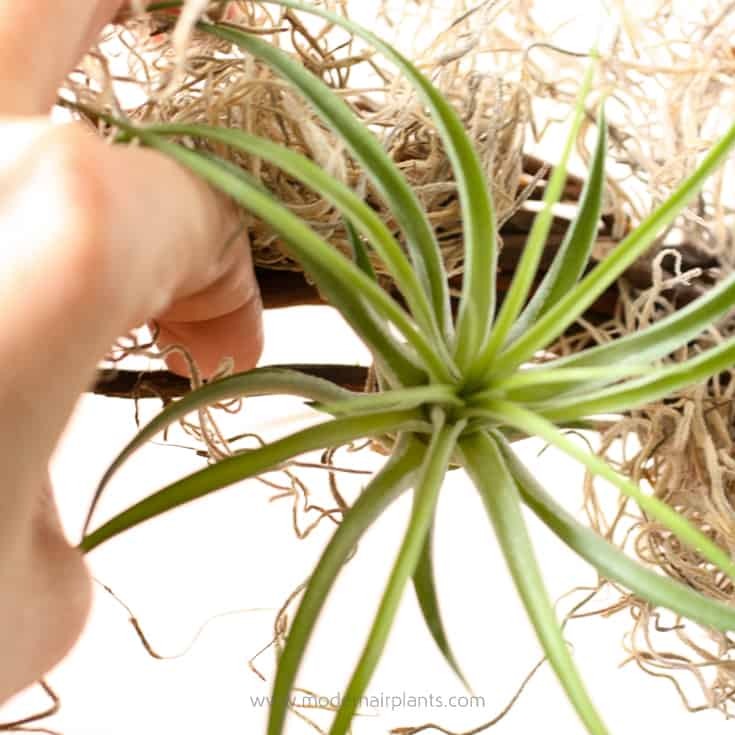 STEP 2 Continued…As not all air plants come with their own “hook,” another useful option is to pry open a gap between the grapevines and insert the plant. STEP 2 Continued…An odd number of plants is pleasing to the eye. STEP 3: Embellish the wreath. When cutting a stem, leave a few inches so that the flowers can be easily tucked into the wreath. 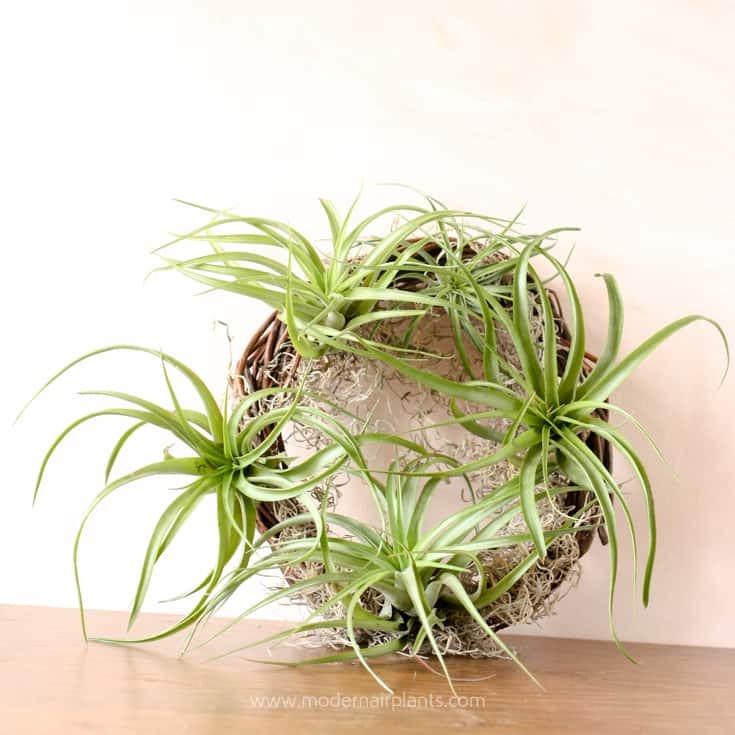 In only 3 steps you too can make an air plant wreath. First, cover the grapevine with a bit of Spanish moss. 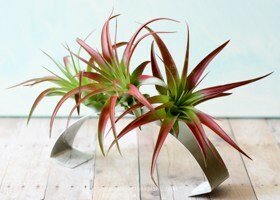 Second, add the air plants in odd numbers. Third, embellish the wreath. If you want a tabletop arrangement the wreath doesn’t need to be hung, just lay it down on your table. Tabletop wreath stands and traditional door wreath hangers also work well. 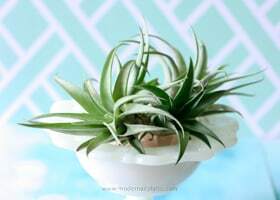 If the air plants were glued into place, regularly mist the plants with a spray bottle-this could be a daily affair if you have the time. If you didn’t use glue, remove the plants from the wreath once a week and soak in a basin of water. Allow the plants to dry upside-down for about 4 hours before returning to the wreath. 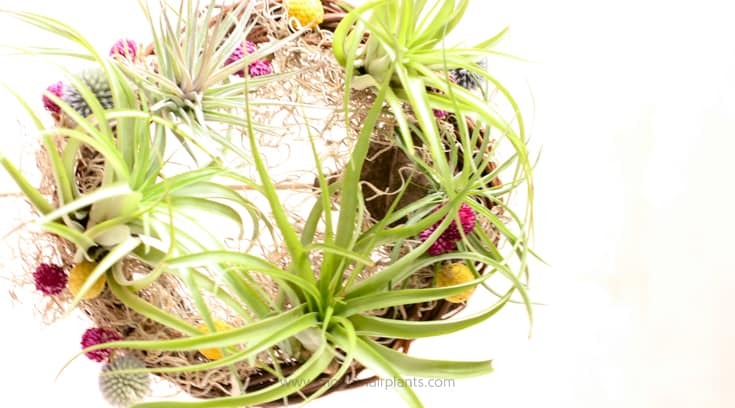 I hope your air plant wreath brings you happiness every time you see it!